Alberobello is a small town. It has no more than 11,000 inhabitants. It is a commune in the Metropolitan city Bari. The center of Alberobello is like in any other small South Italian town. Only few trulli here and there are making difference and reminding that you are in the homeland of these unusual houses. Trulli are built here and there all over the town and the picture of trulli among the regular buildings is quite strange. 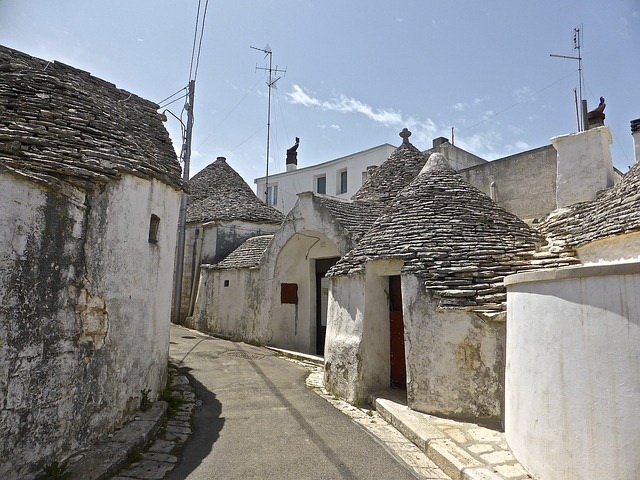 There are two large homogenous trulli districts in Alberobello with more than a thousand trulli. The first one is called Aia Piccola. It is a calm residential area, while the second one, the Rione Monti, is the main destination for tourists. The Rione Monti neighbourhood has around 1,000 trulli, homogeneously constructed next to each other. While walking around in this district one can find almost any type of trulli. 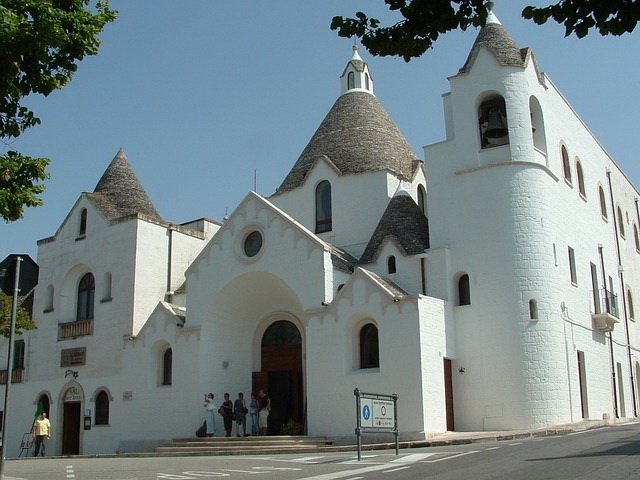 There are trulli-shops, trulli-bars, trulli-restaurants and even a twentieth-century trullo church, the Chiesa di St. Antonio, and a trullo museum. Summer is the best season for visiting Alberobello. There are numerous musical festivals held in the town during the summer months, and besides you can enjoy the nice weather and the beautiful nature of the region. 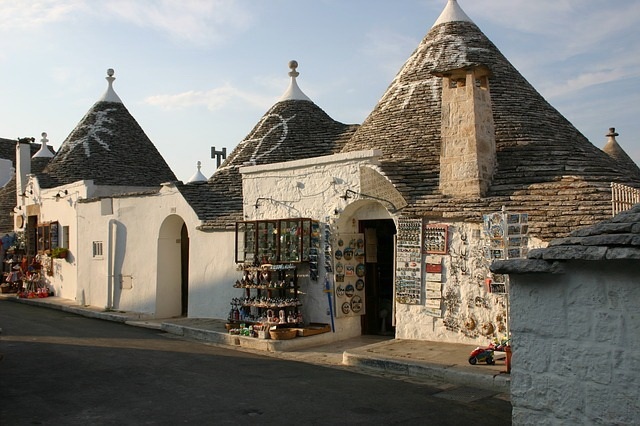 While in Alberobello make a visit to the local Museum of Olive Oil, the Museum of Wine and also the Museum of Handicrafts. This will allow you to get an insight of local customs and life. While in Alberobello, take an opportunity to wander in the shops of Rione Monti, especially if you don’t plan to spend the night in a trulli. This will give you an opportunity to see the interior of trulli. Of course the best way to experience a trullo is to stay in one. There are several trullo-hotels in Alberobello and also self-catering trullo apartment companies, like Trullidea, Trulli Holiday, Masseria Rosa Relais or Trullo Fedelle.